2. 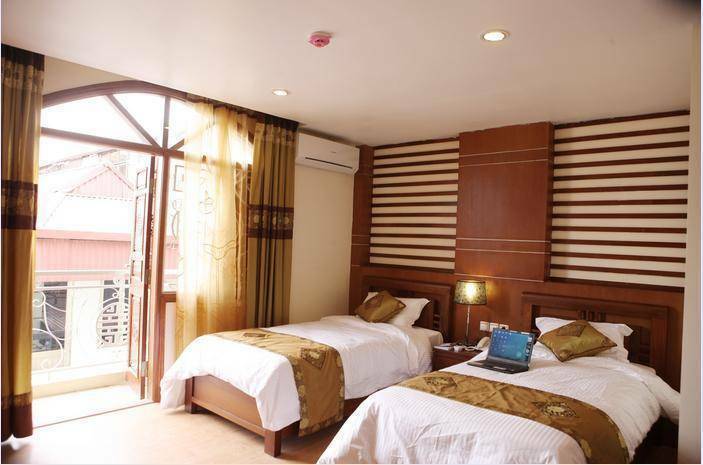 SUP ROOM Room size : 20m2 Rooms come with wooden shutters and windows with old Quarter view. All rooms feature bathrooms and shower, safe box, hair dryer, telephone with IDD, Internet – Privates Computer, Wi-Fi, and Wardrobe, TV cable, Mini-bar, dressing-table Telephone, fruit basket, Chair and table. Room rate is included the full European & Asian breakfast. Free daily tea, coffee & juices. Free travel information. 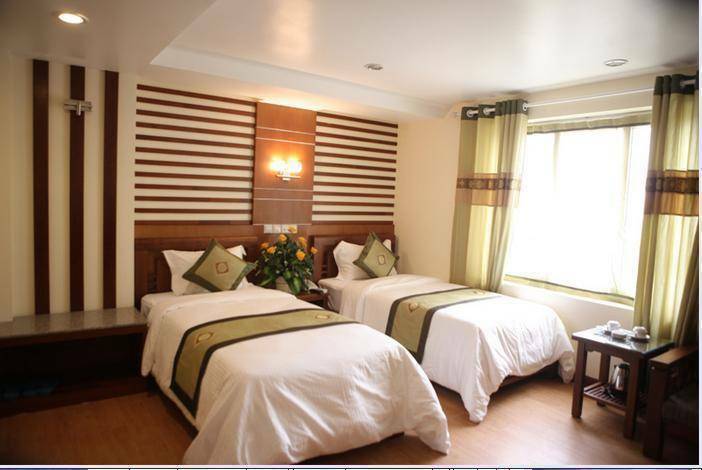 3: DLX ROOM Room size: 25m2 & 28m2 Rooms come with wooden shutters and windows with old Quarter view, Balcony. All rooms feature bathrooms and shower, hair dryer, safe box, telephone with IDD, Computer in room, Wi-Fi, and Wardrobe, TV cable, Mini-bar, dressing-table Telephone, Chair and table. Room rate is included full European & Asian breakfast. Free daily tea, Internet room free, and fruit basket. Free travel information. 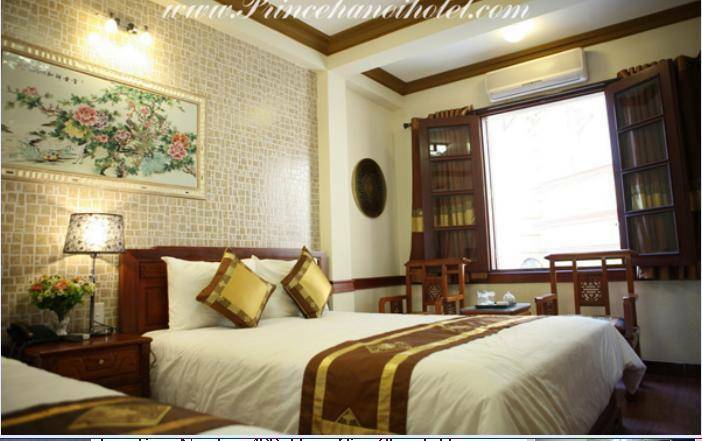 Prince II Hotel is conveniently located on the western side of Hoan Kiem Lake with its many surrounding attractions, such as the Water Puppet theatre, the Trang Tien shopping centre, and several temples. The Lake is said to be inhabited by giant turtles! From Amazing hotel to the lake is just few minutes walk, it benefits from being much quieter at night, and there are several good restaurants and cafes and eating places nearby. In any case you will probably find so many interesting shops as you pass by on the way to Hoan Kiem Lake, that time becomes unimportant. Local Xe Om, motor cycle taxis are on hand if you don’t feel like walking. Prices charged are reasonable and the ride gives you a unique experience of mixing in Hanoi’s traffic........... a real live experience. Write your destination on a note, give it to the driver, and agree the fare before you get on board. Be sure to visit nearby markets which offer a wide range of products at very reasonable prices. Bargaining is all part of the fun. The Old Quarter is a major part of Hoan Kiem District, at the northern end of Hoan Kiem Lake. Though centuries old, it is home to modern Vietnamese as well as traditional architectural building styles, which indicates a rich history of the development of the city. Many fine buildings in the French architectural style are to be found within the Hoan Kiem District, as well as elsewhere in the city. Numerous magnificent trees are a wonderful feature of Ha Noi and other major cities in Viet Nam. 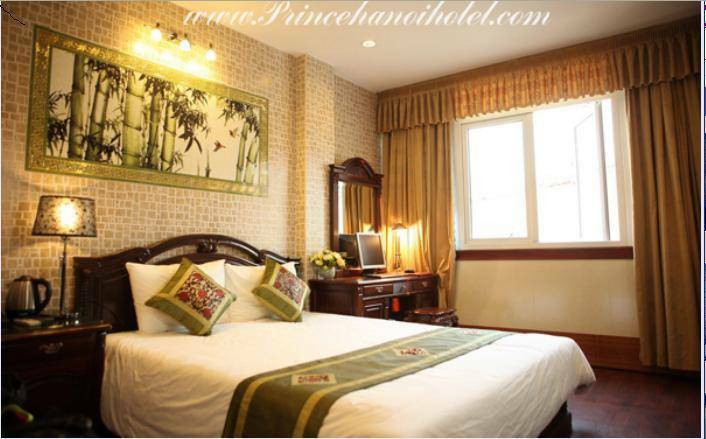 Prince II Hotel is located near the western boundary of Hoan Kiem District, which extends southwards from the historic Long Bien Bridge, to Le Van Huu road running west to east at its southern limit. It is within easy reach of the Railway Station (Ga Ha Noi), and many of the museums and places of interest with which Ha Noi abounds. The International Airport, Noi Bai, is some 40km distant, though it is easily reached by taxi at a cost of US$15 - $20, depending on the size of vehicle required. 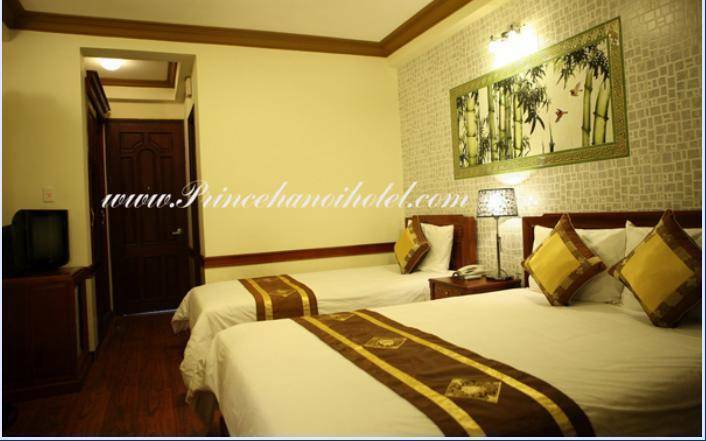 Ha Noi Amazing hotel will be pleased to arrange this for you upon request. The main Post Office of Ha Noi is at the south eastern side of Hoan Kiem Lake, in Dinh Tien Hoang Road.